Cold Creek Cabin is located 10 miles south of Ennis, Montana and just 5 minutes from world-class fly fishing on the Madison River at Varney Bridge. This immaculate two story cabin is situated on 20 gorgeous acres overlooking the Madison Valley with spectacular views of the Madison Range. 4 bedroom 2 bath, sleeps 10 with 2 bedrooms upstairs, each with a queen bed, a bedroom downstairs with twin beds, and a recreation room downstairs with a sofa sleeper and a log pole bunk bed with twin and full beds. Fully equipped kitchen including microwave. Washer/dryer, phone, high-speed internet, satellite TV and DVD player. All linens and towels are provided. The large covered balcony with BBQ overlooks the scenic Madison Valley. 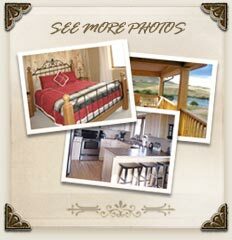 Enjoy the abundant wildlife all around the cabin! Plenty of room to park your RV and drift boat. Fly fishing, hiking, relaxing on the covered balcony. Bring your bicycle for mountain biking. Area: Cold Creek Cabin is close to fun shops, art galleries, eateries and a movie theater in Ennis. Day trips include West Yellowstone, Yellowstone Park, the historic town of Virginia City, Lewis and Clark Caverns, and Bozeman.